Editor’s Note: The following article is cross-posted from The Devokan Trust forums. It is Mr. Whitfield’s first post on that site. “How exactly did you get mixed up with these Devokan people?” a friend asked me just the other day. Well, I was just minding my own business one day when a call came for storytellers. 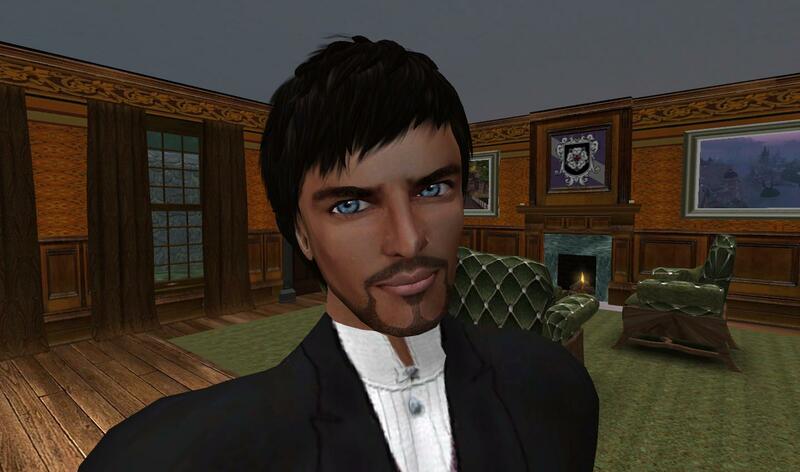 This was in Winterfell (on Second Life) in the spring of the RL year 2010. The Seneschelf herself, Miss Serra, had put out the call to further a sense of community and add to the story of Winterfell, a land of story. In my native world I am a writer and storyteller. I was fairly new to Winterfell, keeping to myself and trying to learn its ways. I had no experience in RP at all, other than some acting when I was a young man. That was, it turns out, a good foundation for RP though I had no idea about such things at the time. And even though I am a writer, RP writing was new to me as well. But I wanted to answer the call of Lady Twilight (Miss Serra is known by several names) and I wanted to be involved in the community. So I stepped forward and wrote my first RP story. Soon afterward I met Dot Macchi, a fellow Winterfallen who was one of the top contributors to the Winterfell Storyboards at that time. Ms. Macchi encouraged me to continue my story, helped me develop story ideas, gave me hints and tips and taught me about the ettiquette of RP writing. Her assistance was invaluable. I also read her story to learn from her example and it quickly drew me in. “Your story relates to Myst,” I messaged her one day. “Yes! !” came her reply. I sensed her excitement that I recognized this. I knew Myst from long ago. From many hours spent with its ages. Sometimes trying to solve a puzzle, many times not trying. Just being. Taking in the feel of it, climbing into it and away from my home world. You know what I mean. In the time since I first spoke with Dot – it is odd to call her by her first name, I would never do so in Winterfell – I have visited her across the ‘Verse…Myst/Uru, OSgrid…and whenever she was in Winterfell. I was always interested in what she was working on and often wished to become involved with her work but time was always a factor. I was very involved in the Steamlands, served as Winterfell Ambassador for two years, was (and still am) the chairman of Steampunk Explorer, was busy with my writing and there were responsibilities in my first world as well. But recently, a pleasant series of events has led to my having more time to spend inworld. And, while I still reside in Winterfell, albeit in much smaller digs than I had previously, I have now crossed into Kitely. And that is where my opportunity to work with the Trust has finally been realized. It is a rather long story, how it all came together. In fact I have written about it elsewhere. I know Dot has put the links to that story in another thread here. I will eventually add those links to this thread as well. For now, I will just give you a link (below) to a new thread I have just started on the new Kitely Forums. It is called “Return To Devokan” and it can be used by any of you who are on Kitely and would like to contribute. And, of course, it can be read by anyone. In the initial post on that thread, you join me as I survey my new world there, called Evergreen. It is a collection of four of the Devokan Trust ages: Selenitica, Kamar, Tao and Satori. I have accepted the position of Custodian of Evergreen for the Trust. My friend, Quin Oddenfen, asked me to do so and, as I say, I have always wanted to get involved with this project. I’ll be off for now. Please do come to Kitely and have a look at Evergreen. If you see me about, do say hello. If I’m not there, I might be back in the 19th century Steamlands or away on some business in the 26th century (Firefly-Serenity) that I must tend to, or back home in Winterfell where three or four centuries are mashed up into..whatever it is you get when you mash up centuries. And yet I am so comfortable there in Winterfell, at home. I suppose that might explain why I am drawn to the Devokan ages. That and those days, long ago, spent “just being” in Myst. I am standing on the rooftop of the castle in Selenitica, the highest point in this region. From here I can see to the very edges of Evergreen – north to Kamar, where I am beginning to furnish the little Japanese house where I spend the night when in residence; northeast to Tao and the sky tree which towers over the swampy grasses and odd-shaped rocks; and due east to Satori, an open water region with only a couple of tall plants and two unidentified structures the only things visible above water. My mission today is to take detailed notes on each of the four ages here that have been put under my care by the Devokan Trust. These notes will be used to write a guide for explorers, tourists and other visitors. It will come in handy as there is more to this world than meets the eye. I can not guarantee that I have found all there is to find here but that is part of the enchantment of this place. You may tag along with me as I make my notes if you like. Bear with me as I will also be stopping to make photographs from time to time. There are three tall islands in Selenitica, the eastern one is your arrival point as you enter the world of Evergreen. You will be standing next to a tower. If you should enter this building and work your way up to its top level, you will find two benches on which to sit and take in the view. Just the other day I found something new. Touch the floor after you sit down on a bench. Wait a moment. What happens? I will make a photograph of the area as you try that. There are smaller rock islands as well. When you first arrive, you will see to the west, the home of Mr. Quinquifid Oddenfen, Director of the Devokan Trust. This is his study, his laboratory, his retreat. Yet he is not often in residence as his work takes him to other ages. His retreat sits on a platform – a pedestal – on one of the rock islands. If you wish to look around Quin’s home, follow the bridge to your left, it will take you to what I have taken to calling Garden Island. You can wander about the interesting and colorful flowers and trees here until you come to another bridge which connects with Quin’s house. You will also see in the northwest corner of Selenitica, on the highest island, a castle. When you first arrive, if again looking west, the bridge to your right will take you there. The bridges need some repair work, so “pardon our appearance…” as the saying goes. You should be able to manage. I have been using a room on the second floor of the castle as my office here. I refer to that room as the Observatory as the view from there is stupendous but there are two observation towers above on the roof. Still, this room is where I feel most comfortable, sitting and looking at the lands before me, thinking and writing. Kamar. This is a rocky continent, with some moss, a few grassy spots, some beautiful flowers and a good number of trees. The land surrounds a nice bay. My house faces the ocean to the north but I spend most of my time at the back window looking out at the bay or on the rooftop observation deck. As I say, I am just beginning to furnish the place. A day bed is there in one corner. This is where I sleep and read and sometimes write. Yes, I spend my nights on a day bed, a contradiction that makes me smile. Kamar Sky Garden. This is a wondrous rock garden on a lake in the sky. Interesting things to see here. I would love to get that balloon-powered vehicle working…but what a nice spot to relax. Feel free to do so. I also think it is a perfect spot for a party someday in the future. Or the past. One never really knows in the Devokan lands. If you are one with the power to fly, a good landing spot in Tao is on the odd rock formations in the northeast and southeast of the region. From afar you might think they are trees, I certainly did. On closer inspection, they look like plants. But once you land on one, you see they are terra firma – specifically, rocks. Rocks that look like mushrooms, if you ask me. Poisonous mushrooms? I could not say as I can’t imagine biting into one without it involving emergency dental surgery. All right, I won’t keep you waiting any longer… to the Sky Tree! aka the Tree Tower. Whatever one calls it, it is truly one of the wonders of the ages. You can walk around the outer rings of the tower and view Selenitica and the landscape below or go closer to see the tree and the surrounding vegetation. This is a very nice place to sit and ponder what you have seen on your journey thus far. But I know you will want to examine the roots of the Sky Tree as well, in particular the pods – known to the locals, if we had locals that is, as “flying homes.” Feel free to go inside and make yourself comfortable but be sure to close the door on your way out so as to keep the elements – and the birds – at bay. I am guessing Quin used these rooms when Tao was a distant age, before it was brought here to nestle in next to Selenitica and the others. The homes are nicely appointed and very welcoming. I may spend some time in one of them to write. I am trying to figure out why one of them has a blue or cyan glass door while the others are yellow or amber. Until this very day, entry to these pods was nearly impossible. As Custodian of Evergreen, it was my duty to report this problem to…somebody. In the absence of Quin, I had informed my friend Dot Macchi, who first introduced me to Quin long ago. Dot then investigated and was conducting experiments regarding a strange force field that existed around these pods. I was helping her as best I could, my knowledge of such things being quite limited. She told me that evidence of force fields were found in other Devokan ages as well. (In fact, the problem may not have been limited only to Devokan worlds.) Dot arranged for the services of a wizard, one Oren Hurvitz, who worked his magic and has caused the force fields to disintegrate…or evaporate…or whatever it is a force field does when it goes away. Apparently, this Oren fella is one heck of a wizard. So, if you have explored Evergreen previously and had not been able to access the pods (or had problems in the Kamar Sky Garden), please do visit again as all is well now. This improvement is only a few hours old as of this writing. There isn’t much to see here, so I put it off to the end of my ‘tour.’ I can hardly call this an ‘expedition,’ as I am merely ‘exploring’ the places next door, looking around the neighborhood as it were. Satori is an open water region and I plan to spend my leisure time sailing here. The only thing visible above see level is a structure or two (I must see if they are connected underwater) that somewhat resemble the masts of a ship. From the observatory in the castle in Selenitica, I thought this structure was vegetation but now that I am here…well, it’s not vegetation but I still don’t know what it is actually. The two “masts” – I’ll call them towers – stand next to each other. (They are not connected underwater, it turns out.) Some sort of alloy, I guess. Are they a symbol of worship? Do they honor some god? Are they a piece of art? Or do they have some practical use? It bugs me that I cannot answer these questions. Already I know what will be keeping me up tonight when I try to ease my mind and fall to sleep in my little house in Kamar. Oh well. That’s about all there is – oh wait, there is some very interesting, glowing vegetation underwater here, you must take a look. I should make another photograph as well. That is the end of our little trip. You can wander about if you wish, I must be off now to review my notes. Thank you for joining me and for your patience. So long! Later, I stop in Selentica at Quin’s house to make supper at the end of the day. I poured some wine first and browsed Quin’s library. Stuffed into one book were some papers about the ages bordering Selenitica. In one, written by Shenn Tao who discovered Satori, he discusses the possibility that the towers there are some kind of communication device. Of course! I slammed the book shut, downed the wine and went to a window facing east to stare at those towers. They could be antennas. That would explain why they stand in the middle of nowhere, in open water. A signal travels very well over water. Yes! They could receive and transmit from one Devokan age to another! But wait…these are just the antennas. Where is the station? The transmitter? Wait… A relay station! Yes, that is it! Hmmm..before I get carried away, I need to conduct some experiments here. Unlike magnetic force fields, communication is something I do know a little bit about, not much but a little. Did I ever tell you about visiting Messrs. Hertz or Marconi while on time traveller business? Well, needless to say, I picked up a few things along the way. Now, let me see, how to go about this? Oooo, that wireless set in one of Quin’s pods up in Tao! I will bring it to Satori. And I will contact my secretary back in the Steamlands, Mr. Afterthought, and have him send along my best wireless set. Maybe two. Yes, it would be best to use radio equipment I am familiar with. Well, I guess I have my next project before me so I will just have to put these notes aside for the moment. I will get back to them in the new year, organize them in a more coherent manner and fashion them into an Evergreen guide for the tourists. Editor’s Note: You may visit the ages of Evergreen via Kitely. The article above also appears on the new Kitely Forums as the first in a new thread of Devokan stories, a thread in which Mr. Whitfield will be one of many participants. The photographs Mr. Whitfield has made of these ages are on his Flickr page in a set called, Evergreen – Devokan. Region credits: Selenitica by Paislee Myrtle; Kamar and Satori by Shenn Tao; Tao by Leah Auxifur and Shenn Tao. Evergreen is Free to visitors. Many of the scripted items in Evergreen are not working yet. As with so many things, these ages evolve. If you have followed my story from its beginning, you have seen the word ‘Evergreen’ many times. It is the name of my pub, it was the name of my homestead in Winterfell, it is now the collective name for the ‘ages’ I care for. What is the significance of this word, its origin in my life? It has much significance now, more than I can even tell you here, but its origin was a fluke. And so, my new land (on Kitely grid) is called Evergreen. Are you ready for the nickel tour? Good. I have placed a new set of photographs called, Evergreen – Devokan, on my Flickr page. There are about ten pictures there now and I will soon add a few more. And I am preparing to write an article for this blog, perhaps more than one, that will tell you more about these ages than was evident when I first arrived. As always, thank you for the kindness of your readership. At first, I thought I was standing in water. But it was moisture, moving along the ground. Fog? The coordinates Quin had given me, had taken me to a rocky island. To my left was a small round building, presumably with one room. Around the outside of the building, just a few feet away from it, was a low stone wall. The building itself, round as if a globe or an igloo, looked almost as if it had been sliced in half. Through the opening, I could see a large spinning object inside. The fog emanated from the building and drifted slowly toward me. Was it steam? Possibly this steam powered the spinning object. Or possibly the spinning object created the steam. I could see and feel the moisture, however, there was no heat from that which wafted toward me. Not steam. Fog. Or mist. Obviously, one of my first thoughts was to enter this stone sphere and investigate the spinning object. So I turned and slowly walked the other way. I have this thing about venturing toward – and especially into – the obvious, when first encountering a new, unknown and foreign place. Over my days as a time traveller, I have found it is usually better to look around first, to get the lay of the land. Moving away about fifteen paces led me toward a very odd tree. Odd but familiar. Very old, it recalls the weeping willow of my world, though it’s vegetation is a silver-blue color, long strands that look almost like ice. This tree is familiar to me as there is one of the same in Selenitica. Here, the tree stood next to a stone archway. As I walked toward the arch, a much greater amount of the mist moved toward me. It was thicker here and appeared to come from the ocean itself, and onto the island. Hmmm. If the mist comes from the ocean, and it comes in the opposite direction from that stone building…perhaps the building is connected to the ocean somehow. As curious as I was about the building, I still chose to continue to investigate my surroundings further before entering. To my right, there was a small formation of blue crystals. I first saw crystals like these more than two years ago when I went up to Reverie, back in Winterfell, to visit Quin’s workshop at Dot Macchi’s former residence. Those crystals were not actually in Winterfell itself, however. For I found a contraption on Ms. Macchi’s land that I took to be a time machine of some sort. I entered that machine and was taken to, what I believe, in hindsight, was another age. It was there that I saw the crystals. But that is a story I have already documented on these pages. I would find similar crystals here, in several places as I explored the island. It took quite awhile to get my bearings. The position of the sun threw me. It seemed…wrong. It was sunset. The sun was descending in what I estimated to be a southerly direction, nearly due south, in fact. Or was it sunrise? The only way to find out was to spend some time here. In his note, Quin called this place, Future Past. As I looked around, I chuckled at that phrase. It seemed perfect, in a way, as I could not tell if, from my starting point in Winterfell, I had gone to the future or the past. I walked through the archway toward the ocean. There were steps, which had been hidden by the mist, that led down into the water. I was not equipped for underwater exploration, so I turned back and headed east with the intention of walking around the coast of this good-sized island. If it were sunset, I would have to hurry but if it were sunrise, I had all day. Part of my tour was over rough rock but for part of it there was a stone path to follow. Along the way were more arches and steps, more crystal formations. There were also strange rock formations, unnatural, going straight up. Built by someone. Tall, with the larger rocks balancing atop the smaller ones. Around the bend and through another archway, I was standing in the middle of a circle of smaller stone posts. Round on the sides, flat on top. Maybe it was just a wall but they could be seats. This could be a gathering place. In the middle, next to me, was a hovering plant. From a distance I had thought it was a machine as I could see it was moving. but as I came closer, I could see it was a plant. Like the tree I saw earlier, I had seen this plant before as well. A blue-green flower, hovering just off the ground and spinning, slowly in a clockwise fashion. The other one I know is in Tao in the Evergreen lands. The color of that one is different but that may be due to the sun’s effect there as compared to here. I was on the other side of a mountain range from where I started. Continuing to follow the coast, I eventually made my way back to the arrival point and the round stone building. Along the way, I half-expected to find an underwater building or tunnel, or a tunnel through the mountains. But I found neither, though I can’t rule out the possibility of same. Finally, I had seen everything in plain view, it was time to enter the stone building. Inside, the room was nearly filled by a spinning contraption, a large wooden frame rotating around a blue globe that looked eerily like an eyeball, a small, darker, round object inside the larger blue one. The surface of the outer orb was out of reach as the rotating wooden frame was in my way. But that was fine by me. The orb’s surface fluctuated, at times giving the appearance of trying to receive a transmission signal. I stared at it for quite some time but could not come to any conclusion about it…other than the obvious, someone had built this for a reason. But what sort of reason? Was it practical or aesthetic? Or some other? There was a perfectly round hole in the floor, under the wooden frame. It looked as if water was running beneath the building. I am assuming this water runs to the ocean, either directly or through the mountains, but underground either way. It would explain how the mist could come at me from two directions, this building and the shoreline, at my arrival point. But again, these are assumptions on my part. I left the building and returned to the arrival point. I must have been here for two hours or so by now but the sun, as best I could tell, was in the exact same position as when I arrived. Sunrise or sunset? Is it possible it is neither? Could it be this island is on a planet that does not rotate? Or moves so slowly that I could not detect a different position in a two-hour period? Because of the seemingly stationary position of either this planet or its sun, my estimate of spending two hours here is only that, an estimate. Under the circumstances, there was no way to measure it truly. It was as if no time had elapsed. Does time stand still here? That is the kind of question I should leave for Quin. The other question, the bigger question I am left with, is: What is this place? Who built these arches, pathways, this stone building? And secondarily, what is that contraption inside the building? Why is it turning? What is it doing? And that eyeball-looking orb. Is it a screen? Is it for receiving or transmitting…or both or neither? I know Quin’s time experiments led this place, this time, to be here. But he did not create it, not exactly. It would not be here without his work, however. I know that is difficult for you to understand. It is difficult for me, as well. I look forward to comparing notes with Quin. I agreed to prepare a report for him and then meet with him to discuss my observations. I think I will send a copy of my report to Dot. Quin told me she has not yet been to Future Past. I wonder if he has even told her about it? Editor’s Note: You may visit Future Past via Kitely. “So, what have you been up to, Danko? You seemed to have disappeared,” said a friend who caught me in one of my rare – of late – ventures out into public view. “Yes, I know. It’s quite a long story. But it’s all good, as they say. Just a bit sudden and out of character to some,” I replied uneasily. “I’ll say,” came the response. It is not out of character actually but I understand it might appear that way. I guess the best way to explain it – and the quickest – is to say I am deeply involved in a writing project. I have had to curtail some other activities – as important as they were to me – in order to give this project the proper attention. This project could easily consume me…if there weren’t additional ventures keeping me busy as well. And if I weren’t on guard against being consumed by a project. Add to that, a major change in the world we call RL – a wonderful change for me – which has had an unexpected effect in this place we (amusingly) refer to as the virtual world. In RL, I have stepped out of the spotlight – something I have yearned to do for some time – much to the surprise of those in the gallery. I had looked forward to this period as I assumed it would afford me the opportunity to spend more time on my on-going actitives in this world. But the gallery put up such a stink about it that I literally had to fight my way to the exits. While this might amount to more grist for the ego for some, it was not what I needed. If I were that way, I would not have left the spotlight in the first place. What I did not expect was that the desire to leave the stage in that first world would carry over to the second. But it did. Titles, responsibilities, land and probably some other things have been shed. All this did not happen immediately as I did not quite realize what was going on, what it was that I wanted. But once I did, I took action. I had to. I didn’t have the answer. But I needed a place to be while I looked for it. The only thing I knew for sure was that I would write my way through it. And I needed a place to do that. When I began this journal, I wrote about needing to find “my place” when I was going through an earlier life change in this world. I found my place in Winterfell. It has been the one constant in an ever-evolving life. And this time, though I wasn’t sure what would be next for me, I did know that Winterfell would be a part of it. She knew how I loved the north of Winterfell. Even though my first home here was in Laudanum, as was my pub and personal office, and my official office was in Absinthe, and my “character” and “way” was Victorian and Steampunk…even though all of these things tied me to the south of Winterfell…it was in the north I have always found the peace I wanted, needed. It was where I went to write or to sit by the fire alone with my thoughts and my music. When I was in my retreats in Ravens Reach and later Ebonshire, few were those who were invited to visit; rare were such occurrences. “Why don’t you think about moving into one of the cottages in the Riverside colony in Ebonshire?” Lady Twilight offered. Then she reminded me, I was the one who had said she should make a special appeal to writers and artists to live there. She did not try to convince me, it was an offer of help. I told her I would think about it. Later that evening, I found myself in Ebonshire, walking about Riverside. “How much do these cottages go for?” I asked in a message. I moved in that weekend. So I have not disappeared. Yes, I have retreated, withdrawn from the centers of activity. But I am still here. I am here more than I am anywhere else. I am here, next door to the parcel where my old cottage was, alone, with my thoughts, my music. I am writing up a storm! I am mapping out other projects. I do travel to another world, a second virtual home for me now, as I have made time to return to exploring. I explore here and there, and other wheres and whens. And then I come back to Ebonshire to write it all down. And to just chill. Some others have left Winterfell recently to find their way to what was next for them. I have not. Winterfell is the way to what is next for me. And here I will stay. No matter where my travels or my writing or my life journey take me. This is my place. Winterfell is home.